Owning property is a source of great pride. That’s why it’s common for homeowners to invest a substantial amount of money into maintenance. However, there are some projects that should be avoided because they do not enhance your home. Instead, they waste your hard-earned money. As a Breckenridge Realtor, I think it’s important to offer advice on maintenance projects you would be better off avoiding. Then you can save your funds for improvements that will really make a difference in your home’s value. It’s logical to care a great deal about the way your landscaping looks. Sadly, this concern is often taken advantage of by professional lawn services that promise to provide you with the most spectacular grounds for a monthly fee. This commitment to a company could wind of costing you thousands of dollars per year. To save money, make sure you research the options in your area. A landscaping service could be a great way to save time, but pricing can vary, so make sure you’re getting the right service at the right price. Taking on your own lawn and landscaping care can save money as well. I’ve seen too many homeowners take the plunge and install backyard pools without considering the high costs. In addition to paying for the water, you have to think about the chemicals, cleaning and heating price tags as well. The final bill might take your breath away! On top of everything else, a pool may not draw potential homebuyers when you’re ready to sell. Some homeowners might jump at the chance to have a pool, but others will be thinking of the maintenance cost as a deal breaker. It’s true that the power in your home could go out at any time, especially in stormy weather. I wouldn’t recommend buying a generator on the assumption that you’ll use it often. The fact is that generators can be expensive without building value on your home in the process. Trust the grid where you live and avoid wasting your money on a generator unless you’re really off the beaten path. Buying new appliances can be very costly. On top of this expense, you may feel pressured to purchase extended coverage to cover the possibility that the machine ever breaks down. By and large, that investment is a money waster. Most new appliances don’t encounter issues in their first year. Plus, your credit card company may already offer this type of protection. Be sure to check the policy to see if you have this coverage built into your plan. As you can see, not every maintenance project is worth the cost. I hope this article helps you avoid money wasters so that you can pick the best home improvements for your budget. 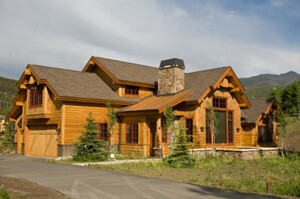 If you’re ready to purchase a new home in Breckenridge or throughout Summit County, get in touch. I can create a list of great properties that might suit your tastes; or you can start your research online by looking through the updated listings on my website. When you’re ready to explore your options or prepare for showings, contact me at any time via email ([email protected]) or on my office line. I look forward to working with you!